April 2, 2008 in KSTU was held scientific-practical conference “President and modern youth-as a facet of Kazakhstan’s way”. 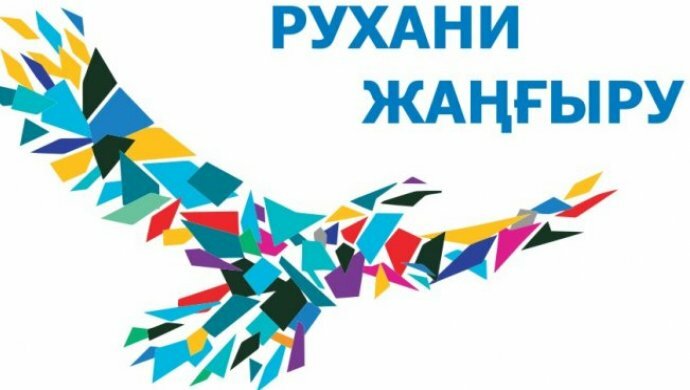 The objective of the conference is education of youth in the spirit of Kazakhstan’s patriotism on the example of specific person-N.A.Nazarbayev. Cooperation of science and business. April 17, 2008 in KSTU was held meeting of mining faculty’s staff with executive head UD JCS “Arselor Mittal Temirtau” M.A.Perzadayev. There were observed issues of joint preparation of specialists for coal mines of Karaganda basins in conditions of new concept of education, which provides training of bachelors, masters and Ph-doctors, also issues of organization and holding of industrial practices and job placement. Objective: creation of unique hardware-programme connection complexes of new generation on base of signal microprocessors and space – based positioning tools. Laboratory of integrated communication (ISCT) ETLC owns the newest equipment for data transmission system. Laboratory is equipped with cellular, satellite and radio modems, six batch controllers VIP-M of Russian company “Incom”, by which KSTU supports active cooperation on international agreement. The objective of laboratory: implementation and widespread usage of modern technologies of connection in academic process of KSTU and interested establishments. Head of the project from “Incom” consortium group is professor Sonkin M.A. Head of the project from KSTU is doctor of technical sciences, professor Yavorovsky V.V. Military – technical developments of professor Zhetessov S.S.
Singularity of developed small arms connected with use of non-cartridge ammunition. Service cartridge contains a metal bullet to the capsule, powder charge, capsule and is distinguished by the fact that the bullet is made with a conic cavity, situated along the longitudinal axis, which is situated in the powder charge with primer and top conical cavity has a spherical shape and is directed to the head of the bullets, and the bottom of the cavity to its end parts. There received preliminary patent of the RK. Scientific researches of scientists are directed on solution of actual problems of machine building, mining production, construction, power engineering, transport, chemistry, ecology, protection of labour, spheres of economics and management, information technologies and communications. Scientific work is implemented within the scale of Kazakhstan multidisciplinary institute of reconstruction and development, engineering profile laboratory “Complex development of mineral resources”, laboratory “Metrological provision of production”, 34 departmental SRL, 3 educational scientific-productive centres and 2 students constructive bureaus. Coal-chemical preparations for extraction from heavy metals from waste solutions of industrial enterprises. Development is intended for creation of mini-production of coal-chemical preparation and development of technology bases of extraction of heavy metals including uranium from industrial and natural water. Practical significance consists in simplification technology of extraction heavy metals from industrial solvent by complex formation with humic acids. Developers: academician of NAS RK Gazaliyev A.M., Doct.Chem.Sci. Bakbardina O.V., Doct.Chem.Sci.Ibrayev M.K. For the first time in the Republic on initiative of KSTU there was created Consortium of universities of Kazakhstan and Russia in the sphere of educational activity. Objective of Consortium creation – is realization of demanded educational programmes of the RK and the RF, including Central-Kazakhstan and North – Kazakhstan regions and Uralsk region of Russia. There concluded agreement on cooperation with Louisiana Technical University (the USA). There is also realized international project “Sinergiya” (Russia, Germany, the Ukraine). There was touched issue of safety, developed a kind of «black box» for emergency production. Autonomous microprocessor systems before – and post-accident production control modes of operation of electrical equipment and technological environment of the explosive manufactures are carried out according to the words of developers of project, continuous complex monitoring of the environment, the fixation of the events and modes of operation of equipment, monitoring of concentration of gas components, the light and thermal radiation and other physical conditions and prerequisites for explosion. There is noted scientific and technical novelty of the project as a means for prevention of accidents and fatalities. Objective: development of technological line on elaboration learning e-tools; development of educational WEB-portal. Laboratory of didactical means jointly with departments of university developed, certified and implemented more than 530 electronic learning tools. Academic activity in University is based on credit technology of learning and realizes in widespread use: Modern pedagogical innovations and interactive methods of teaching – business and role games, disputes and round tables; informational-communication means of training- video lectures, multimedia presentations, progamme-hardware complexes and virtual laboratorial works. For technical support of CTO was created unique software, integrated into single automated informational system AIS “KSTU”. Library of KSTU – is the largest storage of local and foreign editions of educational, scientific-technical literature and periodicals in Central-Kazakhstan with fund of 1 million 600 thousand documents. There acquired 30-40 thousand copies of literature novelties in Kazakh, Russian and foreing languages. Pride of the library is – more than 3000 rare editions, including the only one in Kazakhstan 7 – volumed architectural encyclopedia by G.V. Baranovsky of 1902, which is included in the documents of UNESCO. Sports life of the University. Formation of a healthy way of life for all strata of the population has become one of the main directions of the state policy, as reflected in the strategy «Kazakhstan – 2030», the state programme «Health of the nation», complex programmes of «Healthy lifestyle» and «Healthy universities in Kazakhstan». To improve the quality of training at Department of physical education are applied innovative methods. On the classes of groups of curative physical culture and special medical use: callanetics, Pilates, aerobics, yoga, fitbol. The effectiveness of the sports activity in KSTU is provided by one of the best sports bases of the city, as well as qualified trainers – teachers of Department of physical education. Trade union of KSTU is one of the numerous non-governmental organizations among trade unions of area, it comprises 1500 teachers, staff members and more than 5000 students. The main goal in the field of social policy of University is provision of conditions and opportunities for each member of the team to realize their professional and social potential, as well as the improvement of material well-being and the moral – psychological climate in the collective. For the first time in history of University was created Public disciplinary commission to support anti-corruption legislation and preventive maintenance of offences in the field of education, the prevention of violations of the internal rules and regulations of the university. Military department was created on June 18, 1953 and during its activity has trained more than 16000 reserve officers many of whom are serving in the Armed Forces of the Republic of Kazakhstan, in the departments, units and institutions of the ministries of internal Affairs and emergency situations, the Committee of national security. The Department has been repeatedly encouraged by Ministry of Defense of Kazakhstan and by the results of 2006 it was recognized as the best among 23 military departments of Kazakhstan. Educational-material base of department was equipped with unique samples of armored arms and artillery systems, consisting on arms of armed forces of Kazakhstan. Means of training, training manuals, films, electronic presentations and tutorials, specialized computer classes, created by teachers of department are actively used in academic process which are united by local network. Study on military department allows to acquire particular specialty – DEFENDER OF MOTHERLAND. Department is only one in Karaganda region which prepares officers for the Armed forces of Kazakhstan, possessing necessary knowledge and practical skills for organizing and conducting the battle, and one of 4 in Kazakhstan, where courses «Commander training» is held for officers and training courses for staff officers on the short programme. The University is the initiator of the creation of the first in the Republic of Kazakhstan Innovative-Educational Consortium «Corporate University». The activities of the Corporate University aims to improve the quality of training of specialists through the integration of science, education, production and business. The concept of Corporate University is in full conformity with the Comprehensive programme of development of University in 2008. The objective of the programme – realization of multilevel system of personnel training, with the necessary competencies for innovation development of the structure forming branches of economy of Central – Kazakhstan region of the Republic on priority directions of science and technology. The idea of the programme is to transform the content and structure of the educational process on the basis of the competence model of a graduate, formed on the basis of current and projected needs of the economy and society. Unique local development, superior foreign analogues (Russia, Germany, France). It gives significant increase of labour productivity. It applied on draft and semifinished operations. The objective of the innovative development is improvement of efficiency of mechanical processing. The main task was to develop a method for processing of materials and alloys, cutting of which by conventional methods is difficult or impossible. In the first place the system was intended for processing of large-sized parts of solids of revolution. Developers: Cand.Tech.Sci., associate prof. Shvoyev V.Ph., Candidate of Technical Sciences, Assoc.prof. Muravyev O.P., Candidate of Technical Sciences, Assoc.prof. Mukhamedyarov D.Z., cand.Econ.Sci., assoc.prof. Sikhimbayev M.R. The stabilizer of alternating voltage. Universal high quality stabilizer of general application, designed for operation in the networks of significant fluctuations of voltage, including the most critical energy consumers, such as government institutions, banks, and medical institutions. The principle of action of stabilizers based on the use of autotransformer, additional winding with the voltage fluctuations automatically connected with the help of power semiconductor devices, and the management of the stabilizer is made by specialized industrial controller. The regulator provides overload protection overcurrent, overvoltage and the minimum voltage. The stabilizer of an alternating voltage surpasses foreign analogues in speed and reliability. Developers: doctor of technical sciences, prof. Breydo I.V., candidate of technical Sciences, assoc. professor Kaverin V.V. The aim of the project- prevention of severe accidents with human victims in the coal mines. The idea of development lies in the constant control of operation modes of electric equipment of coal mine site and other explosion-dangerous manufactures with fixation of routine and non-routine situations, as well as the control of pre-emergency and emergency situations by identifying unacceptable concentration of methane, presence of light and heat radiation and sound effects and remote reading of information with the use of autonomous microprocessor-based systems in explosion-proof version. -contactless remote reading of information and positioning system, trapped in the debris. Development has no analogues in the world. Developers: d.t.s., prof. I.V. Breydo, engineer Sichkarenko A.V. 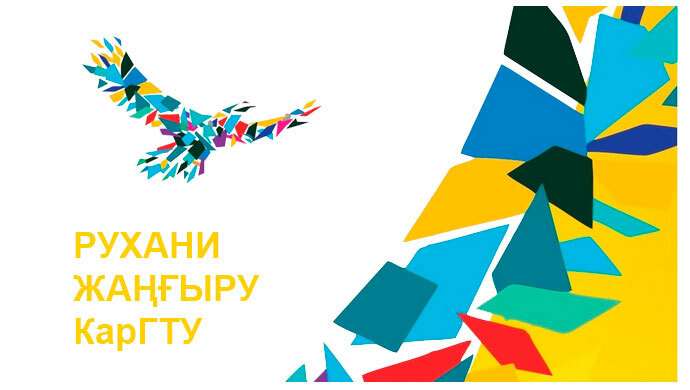 Creative professional communication for the improvement of educational-methodical work with the universities of Kazakhstan and Russian Federation. Developers: d.t.s., Professor Drizhd N.A. and others. -creation of ecologically clean technology for the utilization of products of industrial emissions of Creation of the Republican centre in Karaganda will allow to lead extraction of coal bed methane in the volume of 3-4 billion cubic meters in a year with prospect of the further growth. Cost of the project is $ 10 million. In addition to the stands at the exhibition are the presentations, electronic textbooks. The exhibits of the exhibition: modems, satellite and mobile communications, the satellite aerial, the controller, the device of protection from leakage currents, hydraulic hand a hammer, a model for skip of air-lift. The exhibition has become a visiting card of the University.